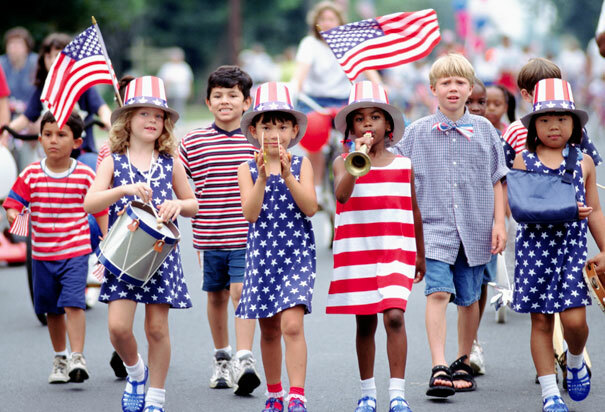 Couldn’t resist this sweet parade photo from The History Channel! We’ve been busy planning upcoming projects, patterns and blog activities for you — one of the pattern ideas we have is for a patriotic quilt; and while looking around online we came across some great free patterns and tutorials we thought we’d share with you this week in honor of the holiday. Can you see that in a long table runner? or even single block pillows to dress up a porch swing or patio chairs for the holiday? 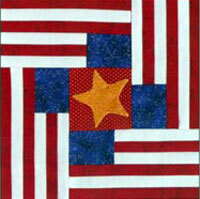 The link above includes a setting idea and pattern for a pieced border. There is a free pattern with a slightly different take on this block here. Either one of these would make a FABULOUS Quilts of Valor veteran quilt! A dear friend of ours, Dawn, served in Afghanistan a few years ago — she did us all proud, and is a great reminder of the sacrifices our military veterans have made for us. 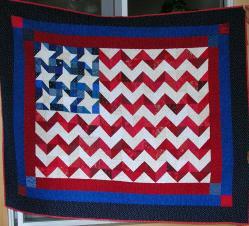 For several more links to patriotic patterns, check out this page. 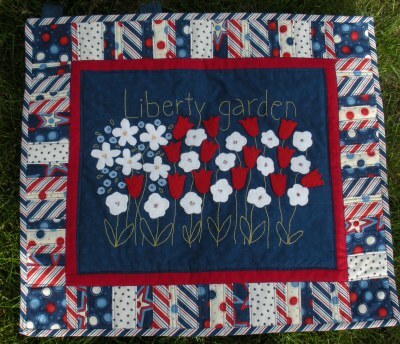 Share a link to your own patriotic project in the comments — we’d enjoy seeing your quilts!